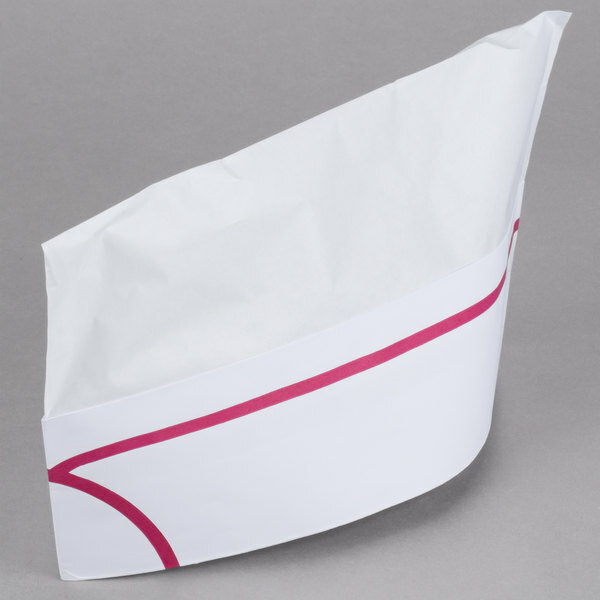 This Royal Paper RPOS1A paper overseas cap with a red stripe will add a signature look to your employees whether you're running a hospital cafeteria, college dining hall, or even a nautical-themed buffet! 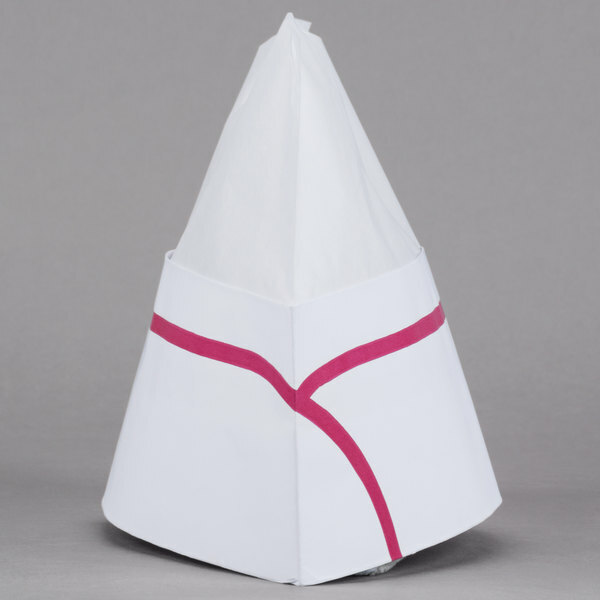 Made of sturdy white crepe paper, this hat features a fully adjustable design with a raised crown and red detailing along the sides. 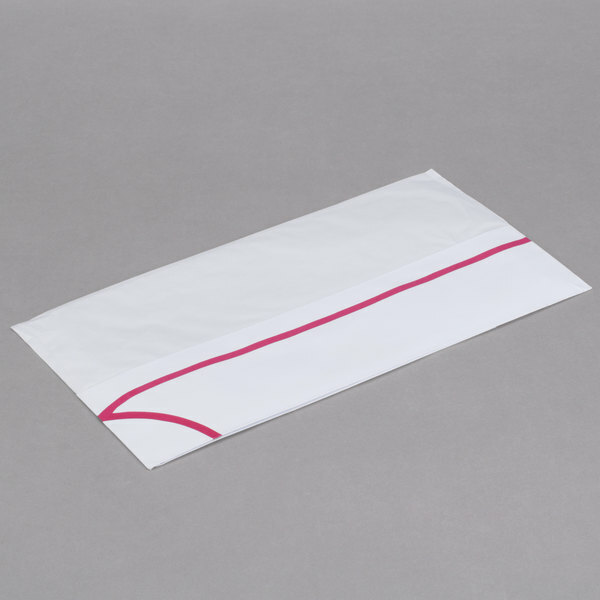 It is also disposable, lightweight, and works as a sanitary hair covering to ensure that you are serving only the highest quality, contaminant-free food to your customers. Very good fitting cap for our serving crew. They fit all sizes of heads of men and women. The price is perfect and they hold up well over time. 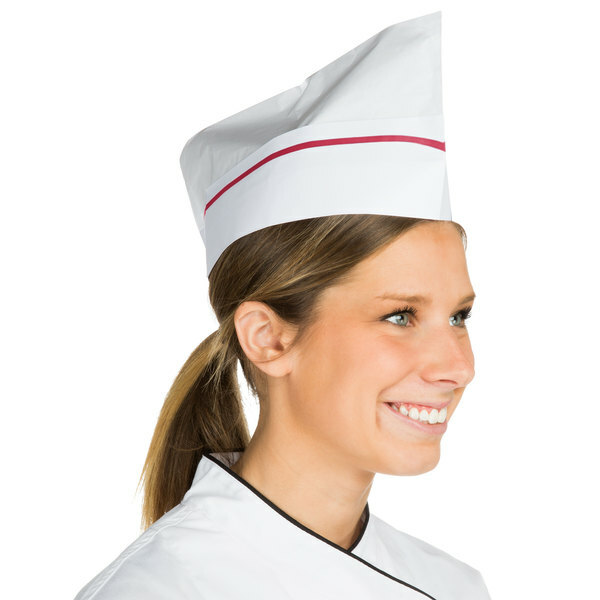 these are a great look for the staff and they seem to enjoy wearing them. and at the price you cant go wrong. 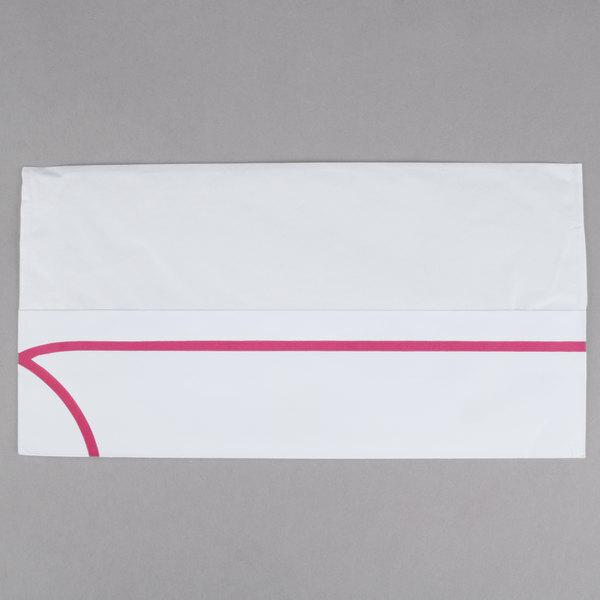 great product we will keep these coming. These hats are perfect for keeping hair out of your face! 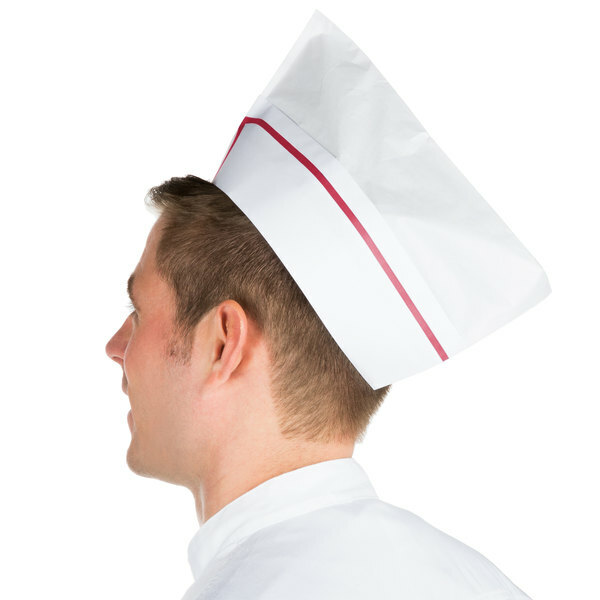 They also are needed in any serious kitchen to make sure you follow all the health codes! 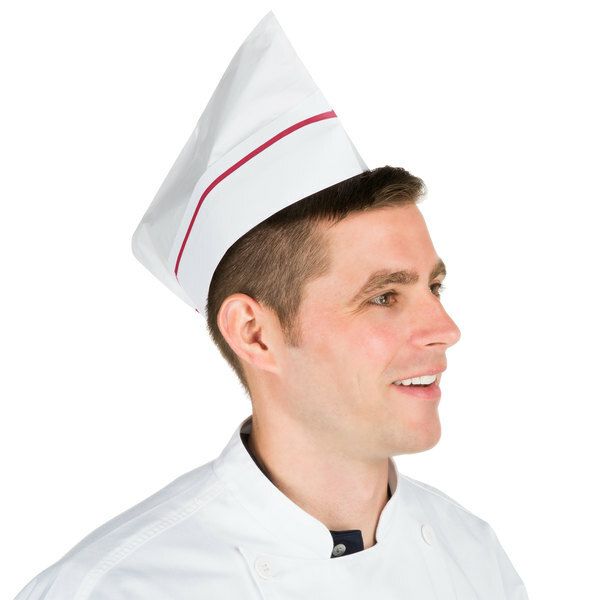 Love these old school sailor caps, reminded me of the two high greasy grills growing up, we don't even use them on the line, we hand them out to kids with crayons so they can make their own chef caps. This is a must have in any restaurant. I keep them in an office closet. 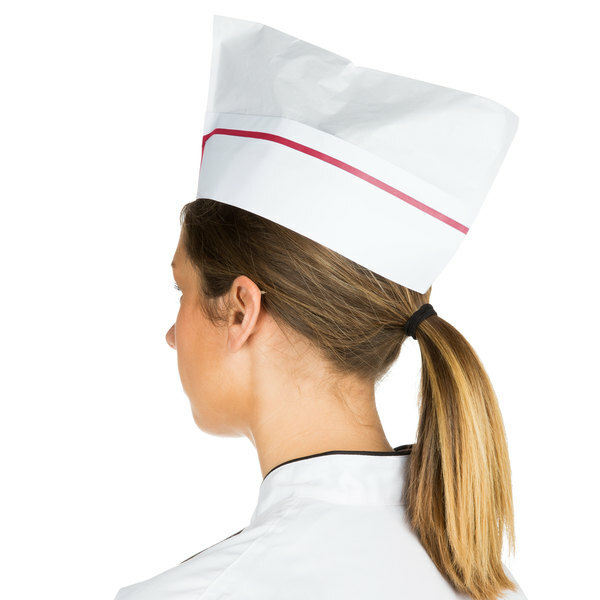 We give them to kitchen staff when they forget to bring a cap or head cover. Very good Quality hat and looks good. Fits very well. This is one of the few hats that don't seem to pop off my head .